There is no doubt that some stock picks of a certain hedge fund firm might represent high-potential stocks. But what if there are several stock picks held in common by two or more hedge funds? It appears that the odds of these commonly-held stocks to represent great buying opportunities are even higher than in the case of a single hedge fund. Therefore, the Insider Monkey team decided to examine the common stock picks of two widely-known and successful hedge fund managers. 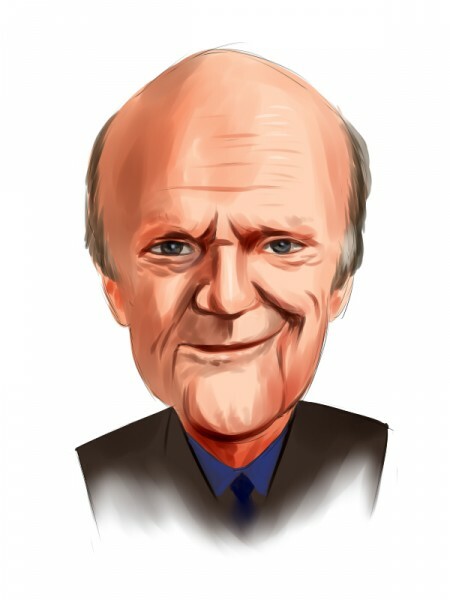 The following article will discuss six common positions held by Julian Robertson’s Tiger Management and David Einhorn’s Greenlight Capital at the end of the second quarter. These reputable hedge fund managers need little or no introduction at all, so let’s proceed with the discussion on the six potential stock winners and their performance over the past few months. Professional investors like David Einhorn spend considerable time and money conducting due diligence on each company they invest in, which makes them the perfect investors to emulate. However, we also know that the returns of hedge funds on the whole have not been good for several years, underperforming the market. We analyzed the historical stock picks of these investors and our research revealed that the small-cap picks of these funds performed far better than their large-cap picks, which is where most of their money is invested and why their performances as a whole have been poor. Why pay fees to invest in both the best and worst ideas of a particular hedge fund when you can simply mimic the best ideas of the best fund managers on your own? A portfolio consisting of the 15 most popular small-cap stock picks among the funds we track has returned more than 102% and beaten the market by more than 53 percentage points since the end of August 2012, and by 4.6 percentage points in the first quarter of this year (see the details). Apple Inc. (NASDAQ:AAPL) is one of the six stocks held in common by the two stellar hedge fund managers. Even so, both hedge funds decreased their holdings in the tech giant during the second quarter. Tiger Management reduced its stake by 14,500 shares to 310,000 shares, while Greenlight Capital’s stake was down by 54,600 shares quarter-over-quarter to 7.38 million shares. Even though Apple Inc. (NASDAQ:AAPL)’s valuation reflects the risks associated with a high reliance on iPhone sales, the iPhone Update program and its AppleCare+ might keep up the demand for current and future iPhones and enable the company to continue delivering great financial figures in the upcoming quarters. Meanwhile, the stock has declined by nearly 5% since the end of the June quarter. Ken Fisher of Fisher Asset Management reported ownership of 11.12 million shares of Apple Inc. (NASDAQ:AAPL) through the latest round of 13F filings. It appears that the two hedge fund managers had different views on IAC/InterActiveCorp (NASDAQ:IACI) during the second quarter. Julian Robertson held his stake in the media and Internet company unchanged during the June quarter at 309,600 shares. In the meantime, David Einhorn reduced his holding in the company by 946,299 shares during the three-month period, ending the quarter with 1.60 million shares. The shares of the company are 10% in the green year-to-date despite embarking on a sharp downtrend since mid-July. Just recently, IAC/InterActiveCorp (NASDAQ:IACI) announced the extension of its long-term relationship with Alphabet Inc. (NASDAQ:GOOGL)’s Google, which has greatly contributed to IACI’s growth over the years. Dan Loeb’s Third Point owned 2.75 million shares of IAC/InterActiveCorp (NASDAQ:IACI) on June 30. Both Julian Robertson and David Einhorn did not make any adjustments to their positions in Santander Consumer USA Holdings Inc. (NYSE:SC) during the June quarter. Tiger Management reported an ownership stake of 585,000 shares in the company through the June round of 13F filings, while Greenlight Capital reported owning 2.17 million shares. The auto and personal loan company has seen its shares decline by 8% since the beginning of the year, mainly owing to its recently-published third-quarter financial results. However, it was not Santander Consumer USA Holdings Inc. (NYSE:SC)’s financials that disappointed, but the company’s decision to exit the personal lending business and transfer these assets into “held for sale” category was what perplexed most market participants. In short, this move might have a significant impact on its future earnings performance. Lee Ainslie’s Maverick Capital was the largest equity holder of Santander Consumer USA Holdings Inc. (NYSE:SC) within our database at the end of the second quarter, holding 10.57 million shares. Follow Santander Consumer Usa Holdings Inc.Follow Santander Consumer Usa Holdings Inc.